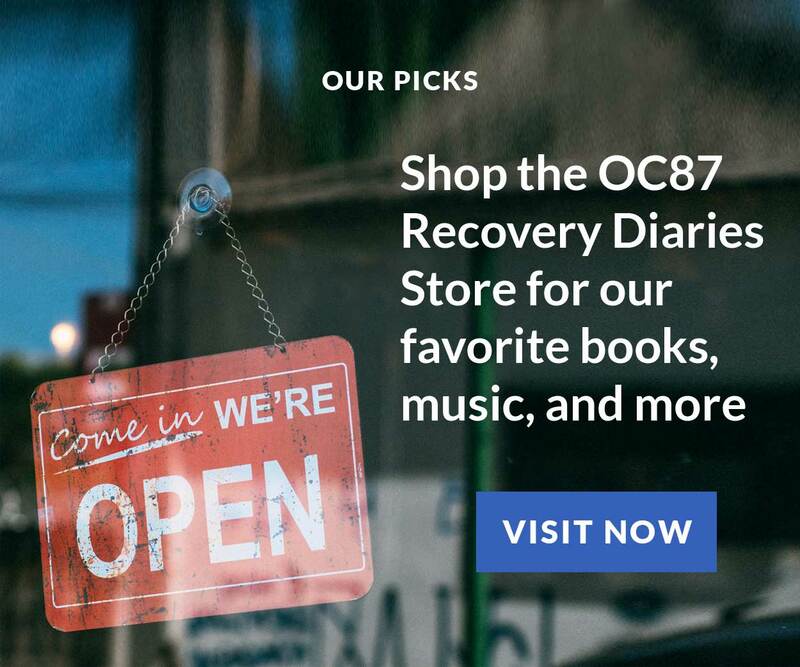 Here at OC87 Recovery Diaries, we focus primarily on stories about mental health recovery from the perspective of the individuals engaged in recovery. 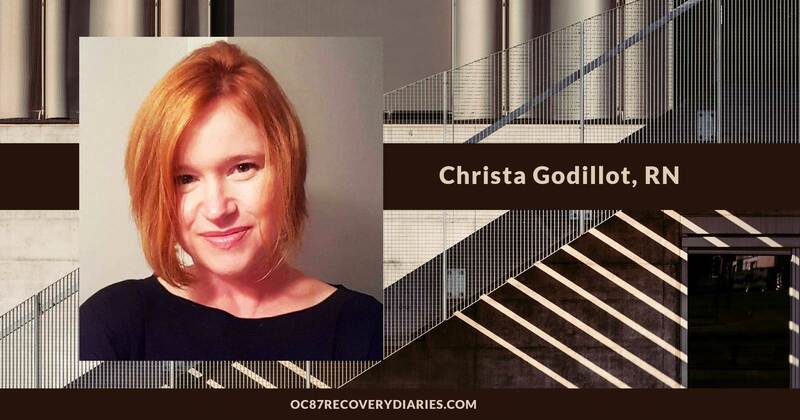 Sometimes, we shine the spotlight on the individuals who help folks along on that road of recovery—often, those are mental health professionals, like Christa Godillot. Christa is a Registered Nurse at Montgomery County Emergency Service, Inc. (MCES), a private, non-profit crisis psychiatric hospital, located in Norristown, Pennsylvania. 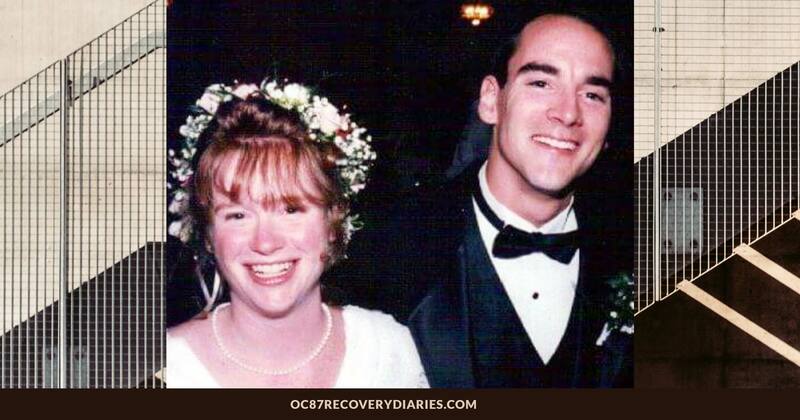 For several years, Christa worked on the inpatient unit with OC87 Recovery Diaries editor Gabriel Nathan. Gabe recently spent some time with Christa, interviewing her about her career as a psychiatric nurse, and as well about how her past helped shape who she is today. We hope that you enjoy Part I of this two-part interview, the next installment of which will run on January 25th. GABRIEL NATHAN: How long have you been a Registered Nurse? GABRIEL NATHAN: So, relatively new to the field. What were you doing before then? CHRISTA GODILLOT: Prior to that I was a stay-at-home mom and I volunteered for several organizations. GABRIEL NATHAN:But you worked at MCES before, right? CHRISTA GODILLOT: Yes, as a Tech in the early ’90s. 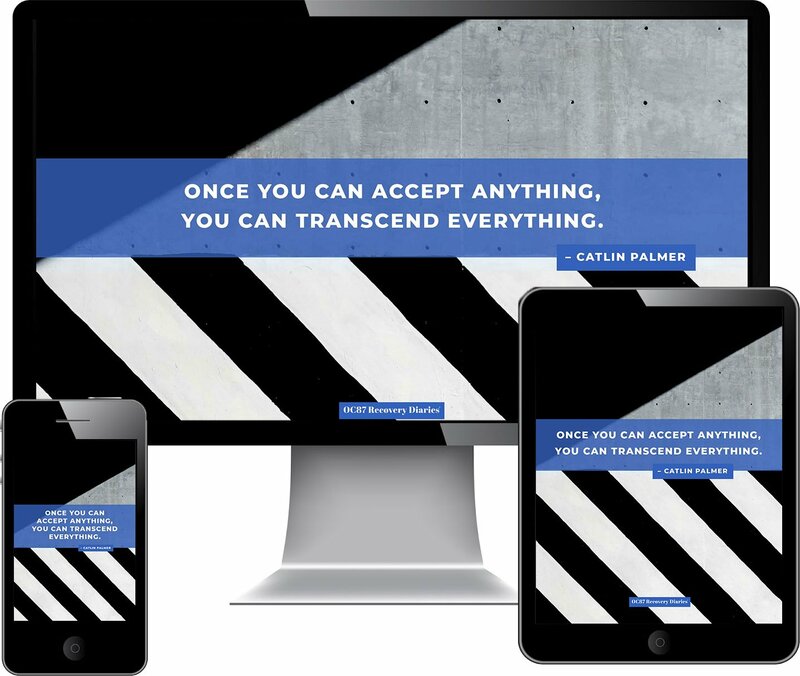 GABRIEL NATHAN: So, a Tech, what is that? CHRISTA GODILLOT: Basically you’re assisting the clients with their ADLs (Activities of Daily Living), you’re taking their vital signs, you talk with them, helping them manage some behaviors, and that’s it. GABRIEL NATHAN: And how did you find out about MCES? 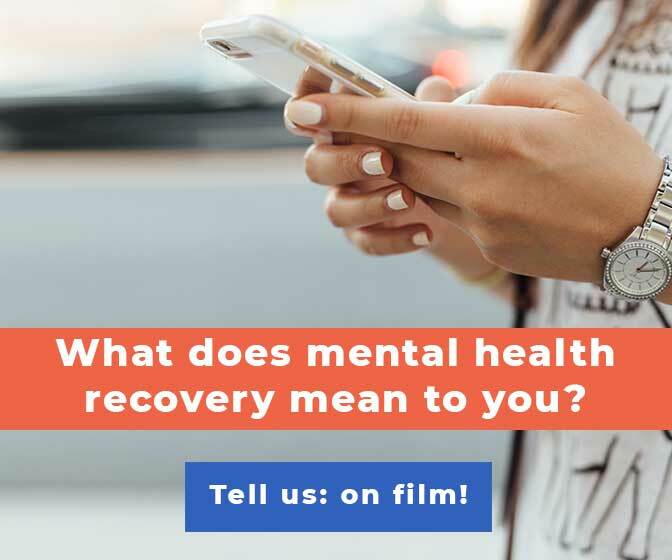 How did you get involved in behavioral health? CHRISTA GODILLOT: It’s kind of a crazy story. So, when I was in my early teens, I was placed in foster care and the family that I went to live with, the mother, Julie, who I still consider my mom, was a nurse at MCES. So, I just met a lot of people who worked there and I was really interested in some of the stories that I had heard. Actually, backing up a little bit, one of the reasons I was placed in foster care was my mother; she had some drug and alcohol issues, mostly drugs. 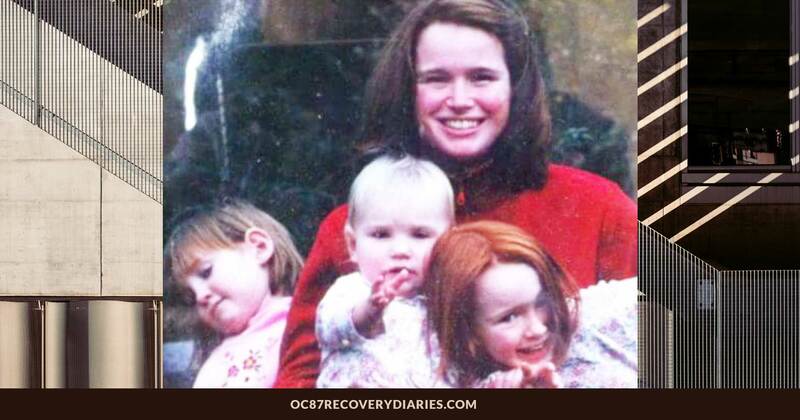 And she probably had some mental health issues… looking back, I can see some things. I can see some similarities between her and some of the patients I’ve worked with. So, it just was — it was kind of like going home. So, I just… I felt very comfortable at MCES. I went there for what I thought would initially be about a year because I intended to go to nursing school. And then financial things happened, and then I was involved in a car accident and there were just a lot of stops along the way, but I eventually went back to school. GABRIEL NATHAN: So, how long did you stay as a Tech? CHRISTA GODILLOT: From 1990 to 1994. But I was off for about a year after a car accident and I couldn’t return to the unit. So, I worked upstairs in Utilization Review for a little bit and that just wasn’t for me. I really enjoyed working with the patients. I still do. GABRIEL NATHAN: When you say you enjoy working with the patients, what do you enjoy most about it? CHRISTA GODILLOT: There’s so many things. I mean I’m pretty much a hands-on person. I don’t function well behind a desk and I need to be moving. That’s just personality-wise. But the patients, that’s where it all is. That’s where everything is, so I like the beginning when they walk in, and they are not really sure about you. There’s so many different people that we treat, so you… there’s a lot of ways to answer this question. If it was someone who came in psychotic and really internal, I love just the process of kind of just the little interactions that you have with them that after a week of saying, “Hi,” and asking them how breakfast was and helping them brush their teeth and just kind of not getting too close, but becoming a familiar face. That day that comes when they say, “Hello,” to you or when you just know that you’ve reached them. Then, there’s a level of trust there. I love that, that’s probably the best part of my job. GABRIEL NATHAN: Talk a little bit about that trust and about… there’s so much said in the mental health field about rapport building and all of that. 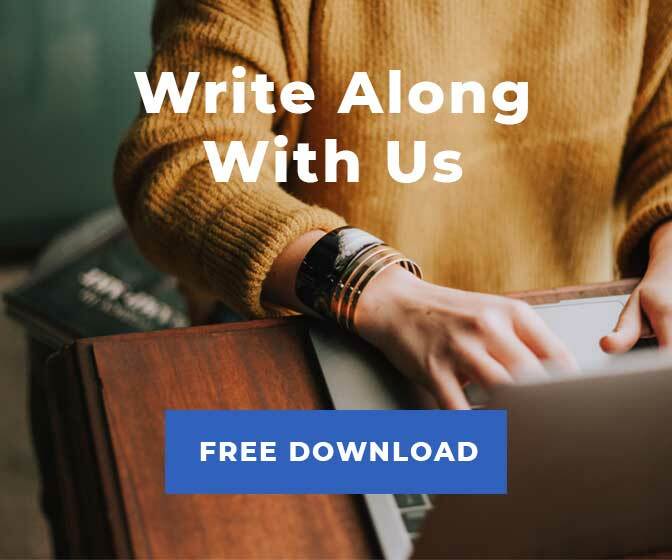 Tell me– how do you go about doing that when someone comes in and they’re paranoid or they’re psychotic or mistrustful of authority: how do you go about building that trust? CHRISTA GODILLOT: I just am a very open person. 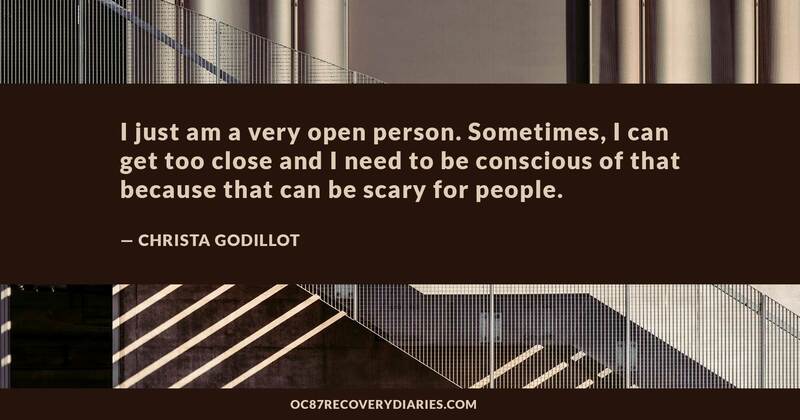 Sometimes, I can get too close and I need to be conscious of that because that can be scary for people. I just feel like, if I approach them openly, and I’m always honest about what’s happening. If someone comes in and they have to take meds to leave, I tell them that’s what they have to do. Most times, they don’t want to take meds, I’m very up front. I’ll tell them, “I understand you want to leave but this is what has to happen. Unfortunately, you have to take them.” That’s never a comfortable subject. I feel like it can be difficult to establish that trust. 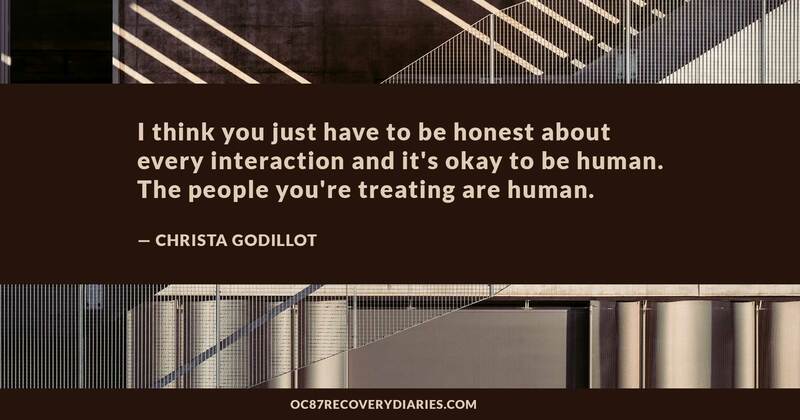 But I think you just have to be honest about every interaction and it’s okay to be human. The people you’re treating are human. GABRIEL NATHAN: Let’s talk about meds for a second. In your opinion, why is it that a lot of people are resistant to the idea of taking meds? CHRISTA GODILLOT: First of all, some of the meds are horrifying; the side effects. They can be really difficult to manage; weight gain, [the blunting] of your cognition. Some people are really comfortable with their voices. Some people, you know, when their psychotic symptoms clear, are left with the realization that they are really ill and their realities are pretty harsh. So, sometimes, I would think, or I can assume that sometimes, it’s easier to live not in reality than to face reality. GABRIEL NATHAN: What do you think is the biggest misconception that people have about individuals with mental illness? CHRISTA GODILLOT: I think one of the things that I’ve seen portrayed more and more in television and movies is the misconception that mentally ill people are dangerous or violent. I think statistically, it’s like less than 10% of the population is actually violent and most of the time, these people are victims of violence. But I think it is important to understand and to educate people about that. GABRIEL NATHAN: Yea, and in that very small percent it’s also folks who are untreated and/or abusing drugs or alcohol so you know, someone who you know may be paranoid and they’re on PCP, and is not taking medication, that’s a very different story then someone who may be paranoid but is on medication and is functioning in society and not using drugs or alcohol, so. People tend to forget that. I guess on the flip side of that, just thinking about misconceptions, what do you think some of the misconceptions are about mental health workers like you? CHRISTA GODILLOT: That we’re unfeeling. That we’re drug pushers, that we just want to make people zombies, that we just want to restrain people; that we don’t really care. GABRIEL NATHAN: Have you come up against that– like at a party or something; telling people what you do, people who aren’t involved in the field? Do they really get what you do? CHRISTA GODILLOT: I’m really careful how I explain what I do because you have to be careful not to present it with like — I don’t know — like a bravado or… I don’t know how to explain it to make it make sense. But I’m very careful to use just educated terminology and descriptives and to explain what I do if someone asks. GABRIEL NATHAN: It can be tricky. CHRISTA GODILLOT: It can. I just don’t want to give anyone the sense that I take what I do lightly or that I have some alternative reason for being there and the people that I treat deserve a lot of respect and a lot of care. It’s kind of my job to educate the public at large too, about mental health because there’s so much stigma attached to it on its own. GABRIEL NATHAN: Where do you think that comes from? CHRISTA GODILLOT: Fear, probably. I mean there’s so much we still don’t know– they’re just now getting to mapping the brain. GABRIEL NATHAN: So, I think sometimes people can tend to define themselves by their job. But, a job is a job. When you’re not at MCES, what do you like to do? CHRISTA GODILLOT: I like to kayak; I like to read. I love to clean my house and sit on my porch and listen to music. GABRIEL NATHAN: Did you used to work on a farm too? CHRISTA GODILLOT: I worked for a client, I was a private nurse for a client who was a farmer prior to an accident that he had. I am still very close to that family. GABRIEL NATHAN: What do you think is the most frustrating part of your job? CHRISTA GODILLOT: Staffing, sometimes building morale can be frustrating, trying to support people who don’t really have a lot of access to services or trying to assist people to utilize services that really are frustrating to access. Also, we have a grant to help reduce recidivism, or to see if nursing visits could help reduce recidivism. 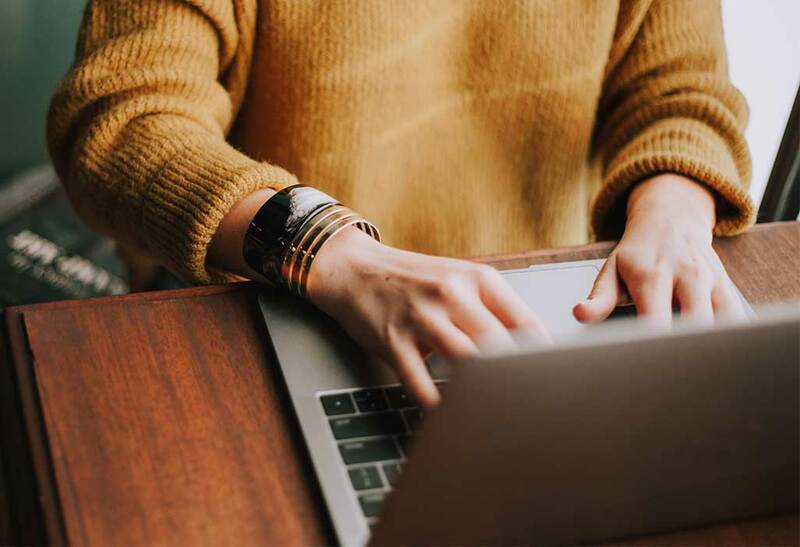 So, I’m in the community still with that program once in a while and I can really see from that perspective how difficult it is to utilize the services that are available, to make sense of them, to access them. 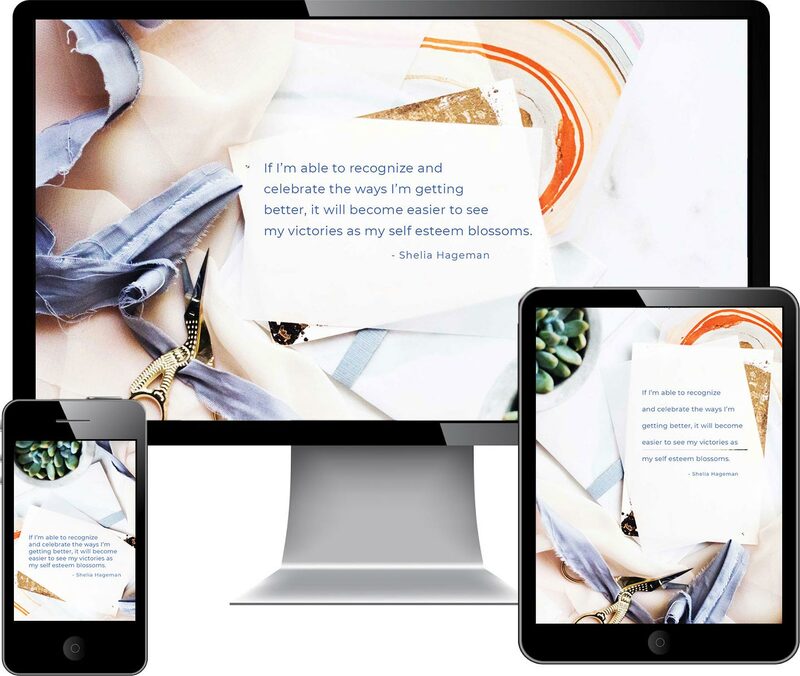 For me, there are fewer walls: I drive, I have a phone, and I can think clearly, and I have insurance—and it’s frustrating for me, so I can’t imagine being by myself and – oh, and that’s the other thing, I have a support system. You know, a lot of these people don’t have family, they don’t have friends. They don’t have people that they can count on to help them with things. GABRIEL NATHAN: And so sometimes the hospital becomes the default support system. Speaking of recovery outside of the hospital, are there organizations that people can utilize in the community that you found helpful? CHRISTA GODILLOT: I think NAMI is a good resource. There are agencies throughout most communities that are associated with mental health organizations, private and public. It just depends on insurance for those things. I think the library is a great resource. GABRIEL NATHAN: So you were talking earlier about kind of frustrations and stress at work and some of the things that you do outside of work to kind of you know, fulfill the whole human being. Regarding the stresses that you feel at work, how do you cope with those? CHRISTA GODILLOT: It depends on what it is or how I feel that day. I try to keep everything in check. If it’s not life or death really, it’s fine. You can’t hold onto everything, I think. You have to let it go. CHRISTA GODILLOT: It can be, but I work out. That helps, I think. I started swimming; that is like a meditation in itself. GABRIEL NATHAN: Did you practice mindfulness? CHRISTA GODILLOT: Not really, not in the traditional sense that it’s taught. When I’m in the pool doing 64 laps without stopping, I think that’s mindfulness. GABRIEL NATHAN: That works. What do you think about the patients that you work with, people that you’ve worked with for years that you’ve seen kind of come back and back and what do you want for those people? CHRISTA GODILLOT: Ultimately, I want them to have some peace in their lives and to know that they’re cared for and know that they matter, I think. GABRIEL NATHAN: What do you want for your colleagues? CHRISTA GODILLOT: I want them to understand that the work we do is really important and to know that they’re appreciated for it. GABRIEL NATHAN: It’s almost the same thing, to have peace and to know that they matter. CHRISTA GODILLOT: It is, truly. GABRIEL NATHAN: Can you describe what it’s like to be a nurse? It’s a hard question because I’m kind of asking two things. I’m asking sort of; can you describe the day to day and can you also describe the feeling. Can you describe what it feels like. So I guess day to day first. CHRISTA GODILLOT: It can be challenging because you’re really the manager of the care. So, depending on the day, the unit that you’re on, the amount of patients you have, the level of care that each of those patients need, it’s always different. The beginning of the day is just mapping it out, like assessing what has to happen and then sometimes you’re running nonstop to make sure that happens. And that doesn’t even consider like the meetings that you have to go to and the med changes and the things that come up. Any number of things can come up. So, I like to just get in there, assess, try to take the most acute people or incidents first — start there and triage. GABRIEL NATHAN: And the feeling that comes with being a nurse? CHRISTA GODILLOT: I’m proud, I’m very proud of that. I worked very hard to become a nurse and it was something I always wanted. So, I’m glad that I didn’t give up on it. GABRIEL NATHAN: Was there ever a time when you were like, “Oh, I can’t”?